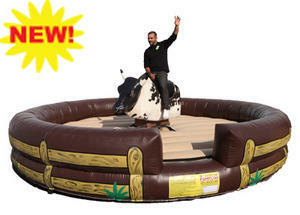 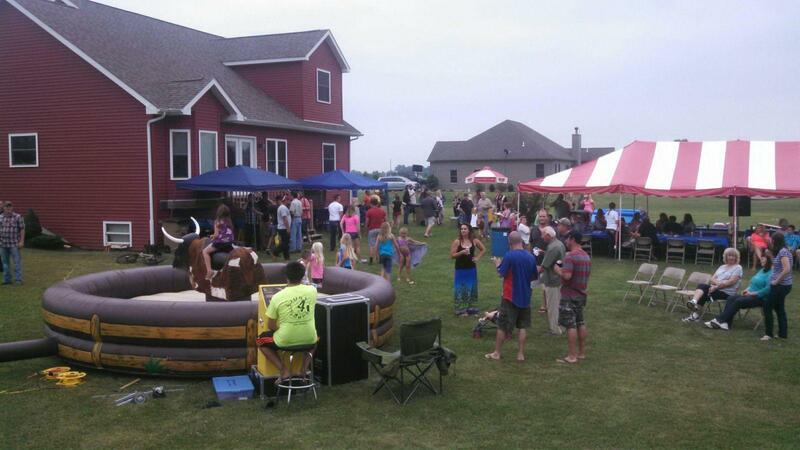 The Deluxe Mechanical Rodeo Bull is perfect for those wild western themed parties! 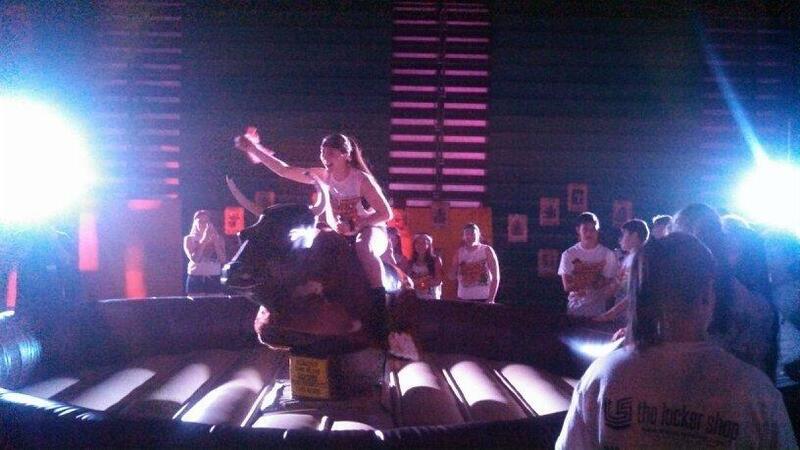 The mechanical bull instantly draws a crowd, creates a fun atmosphere, and keeps the spectators fully entertained with all the action. 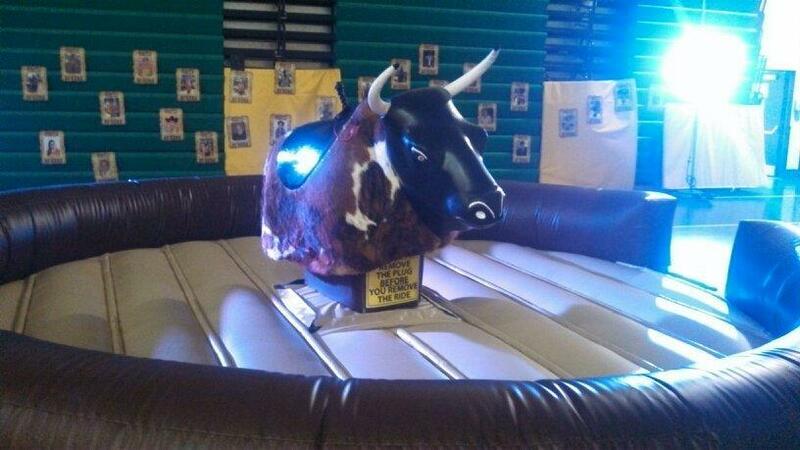 The bull is perfect for indoor and outdoor settings making it a great choice for all types of events including; school and church functions, company picnics, college events, sales meeting, bar mitzvahs, town festivals and any event that needs a fun for all attraction. 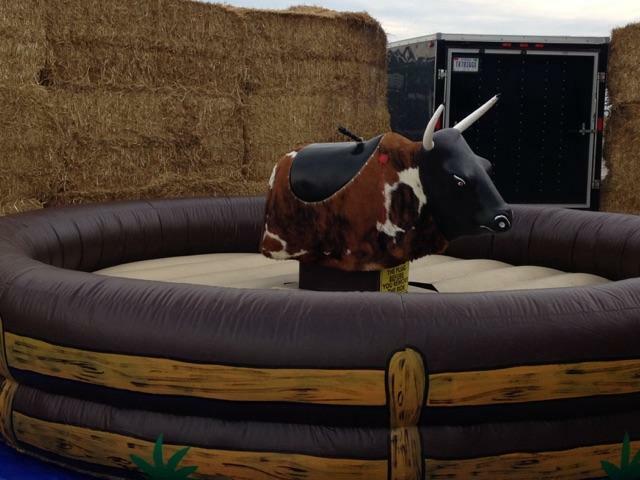 Our bull is equipped with the Auto Stop Sensor instantly stopping the bull after a fall, a LED display timer showing the exact time of the rider, a life like foam head, a plush inflatable landing pad to ensure the falls are soft, an authentic cow hide body, computer controlled bucking action, and our attractive safety pad system that is custom made to look like a real corral makes this the safest, most realistic mechanical bull ride anywhere.